Have you had contact with a police officer who you would like to thank for their service? If so, then consider nominating them for Sunshine Coast Police Officer of the Year – 2019 award. If you would like to nominate an officer, please complete a nomination form which is available here. 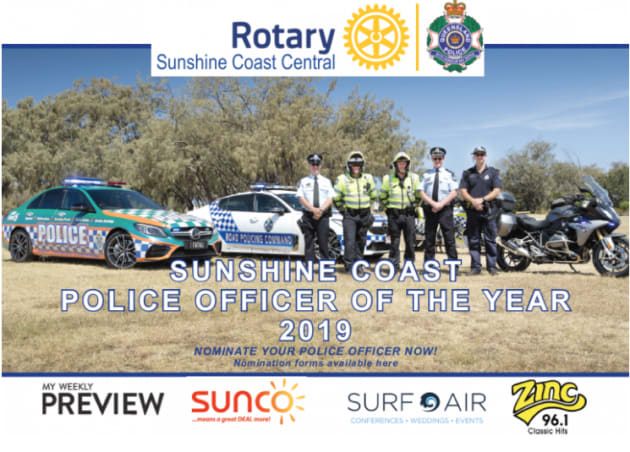 Completed forms can be submitted via email to [email protected] or by post to Police Officer of the Year, PO Box 5517, Maroochydore BC, QLD, 4558. Nominations close Friday, April 26.